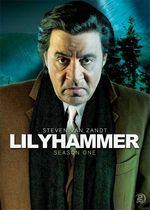 Steve Van Zandt stars as Frank "The Fixer" Tagliano, a former mobster who is relocated to Lillehammer (Norway) via a federal witness protection program. A sports fan, Frank wants to make his new life in the town that hosted the 1994 Winter Olympics — or as he calls it "Lilyhammer." Frank has visions of a paradise of "clean air, fresh white snow and gorgeous broads" far away from the temptations of the Big Apple and from mob hit men. Reality, of course, turns out to be spectacularly different. Co-produced with Norwegian television, Netflix streamed the series in the US. Original US air dates: 02/06/2012.